Las Vegas Motor Speedway’s newest race has a name, taking a cue from a Sin City institution that’s close to home. The Monster Energy NASCAR Cup Series’ second stop at the Nevada track in 2018 will be known as the South Point 400. 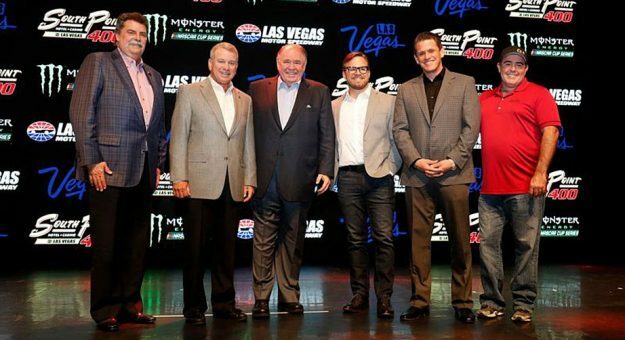 The venue’s multiyear agreement with the hotel, casino and spa was announced Thursday, the final day of NASCAR’s Champion’s Week festivities. The 1.5-mile track announced in March that it would host two NASCAR tripleheader weekends next season. The South Point-backed event is scheduled Sept. 16 to kick off the Monster Energy Series’ Playoffs, with XFINITY Series and Camping World Truck Series races set for the preceding days. Las Vegas Motor Speedway’s other triple bill on the 2018 schedule is set for March 2-4.